The Economic and Financial Crimes Commission has filed 11 counts of fraud against the former Chairman of Ikeja Hotels Plc, Mr. Goodie Ibru, for allegedly defrauding the hotel to the tune of N1bn. A copy of the charge sheet obtained by our correspondent on Sunday, was filed before Justice Raliatu Adebiyi of the Lagos Division of the Lagos State High Court. 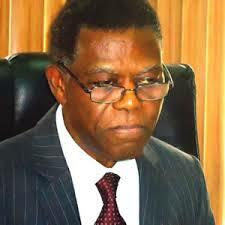 Ibru was charged alongside three companies – Associated Ventures International Limited, IHL Services Limited and Clearview Investment Limited. According to the anti-graft commission, these alleged offences committed by the suspects are contrary to sections 516, 370(7)(b) and 9 and 278(1)(b) and 285(8) and 9(b) 0f the Criminal Code Cap C. 17, Vol. 11, Laws of Lagos State of Nigeria, 2011.